*0cm of fresh snow has fallen in the last 24hrs in Hirafu Village. At 7:00 today the temperature was 5°C. 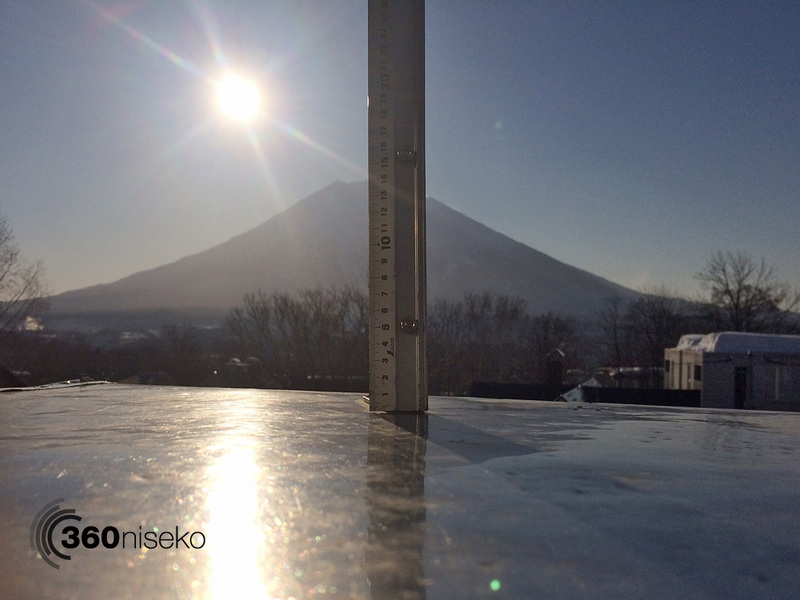 It is a beautiful morning here in Niseko with clear weather and warm conditions. With no snowfall and high temperatures forecast for this week we have come to the end of our daily snow reports for the 2013-2014 season. Until the next snowfall we not be publishing daily snow reports or any shots from our snow station. Thanks for following this season. Here is a shot from our biggest daily snowfall image taken on the 14th of January – 53.5cm! 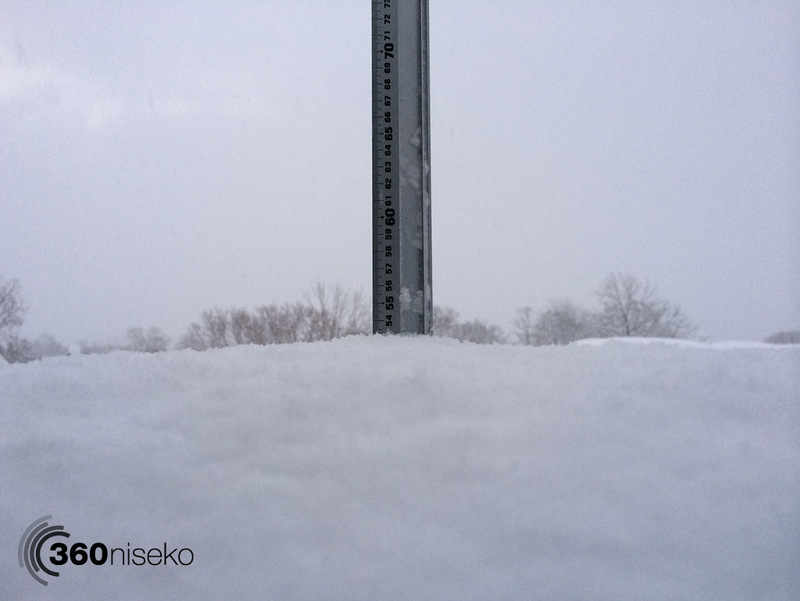 360niseko will continue providing information and snow updates from Niseko for the remainder of the spring season and beyond – we still have a month and a half to go!! Loved your work over the season, thank you! Thanks Glen for all your hard work and daily posts!! I had a great time this season and followed your posts everyday .. Brought back good memories 🙂 take care! Cheers Ted. Really appreciate the feedback and kind words. Thanks for following!